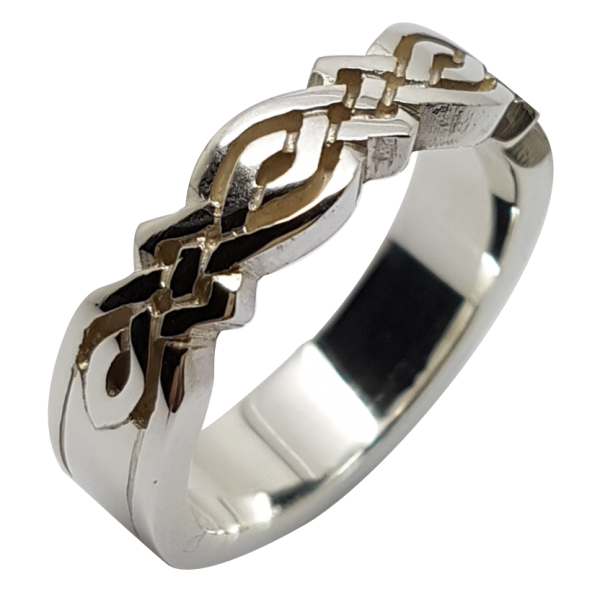 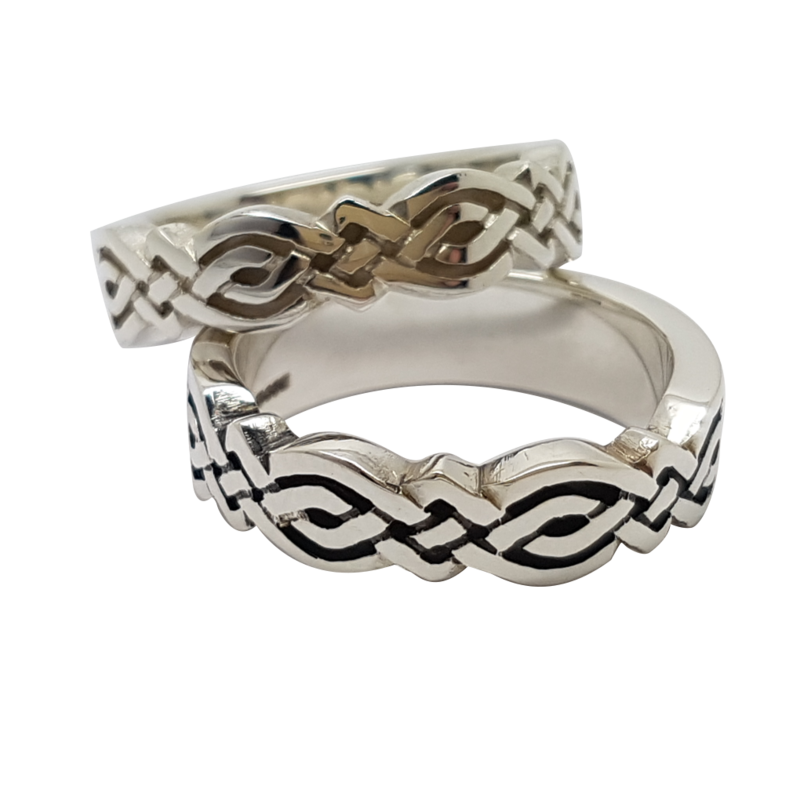 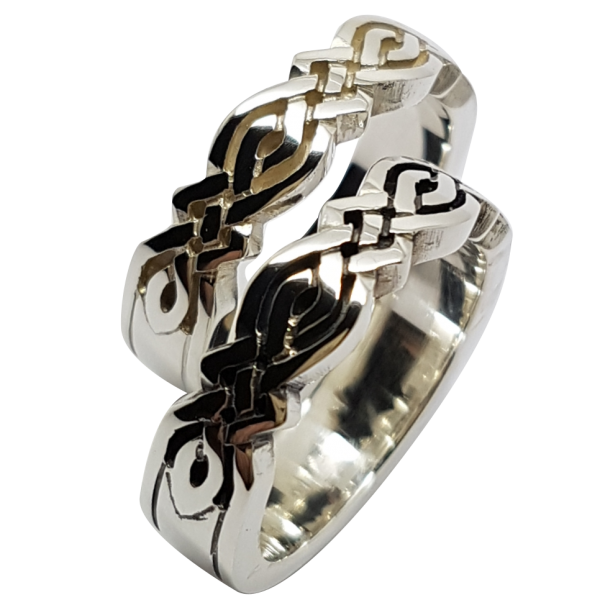 This ring is part of our ‘Cridhe’ collection, meaning ‘heart’ in Gaelic, and is made exclusively by Love from Skye on the Isle of Skye. This medium width, solid knot-work design measures 6mm in width. 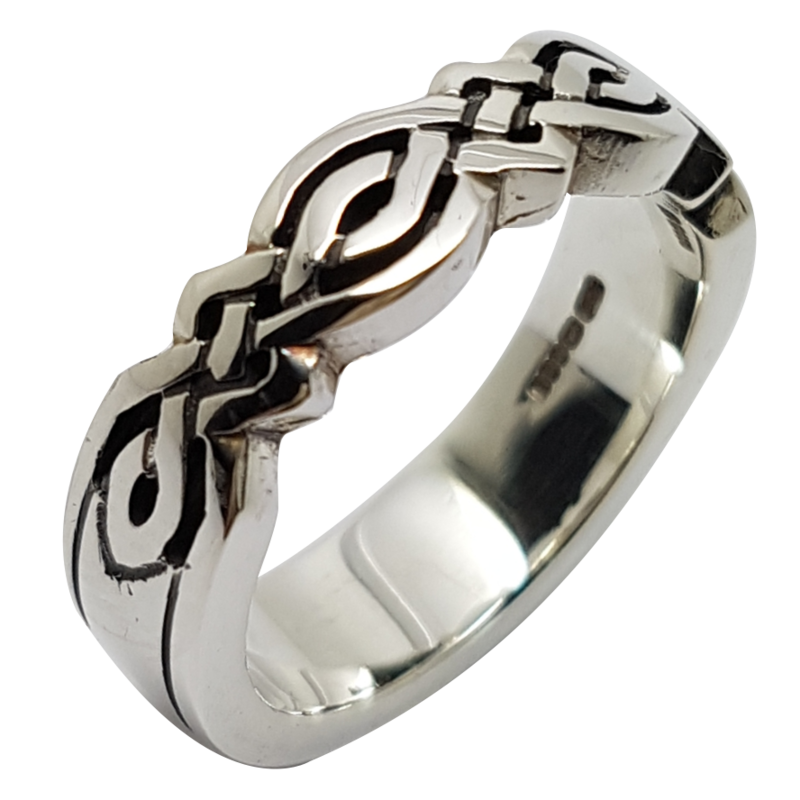 The silver version of this design can be oxidised to darken the silver behind the detailing, as shown in images.